There is good news for owner-operators who claim meal per diems! Under a new IRS per diem system that took effect Oct. 1, owner-operators will now be able to claim a total of $66 per day every day they are away from home. That's an increase of $3 per day over the previously allowed amount. That means owner-operators who use a Schedule C expense form can now deduct $52.80 from their income every day they’re on the road. That's equal to the 80 percent the IRS allows as a deduction from owner-operators' income. To qualify, the IRS requires your work to be away from “your tax home substantially longer” than a normal workday. You are also required to sleep away from home on days that qualify for the per diem tax deduction. 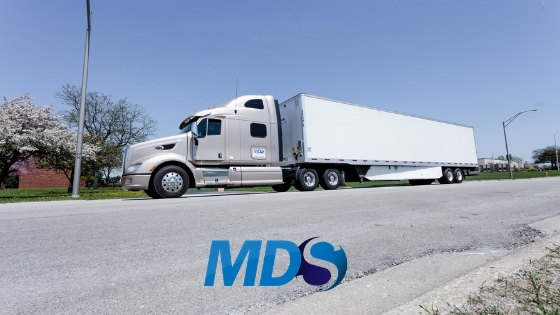 Trucking industry accounting firm ATBS explains in more detail who is eligible for the per diem deduction. "If you are an over-the-road driver, the rule is simple. You get to claim the tax deduction for each day that you are away from your “tax home”. On the days that you depart and the days that you arrive at home, you must claim a partial day allowance instead of a full day allowance. That is ¾ of the standard allowance. Things become a little more complicated if you are a local driver. Are you gone from home long hours? Local and regional drivers are frequently away from their home much longer than an average eight-hour workday. Therefore, fulfilling the first part of the requirements is simple. However, notice the “AND” between the two requirements? This means that you must meet both conditions in order to claim the deduction. Another way to think of it is, drivers who start and end a trip at home on the same DOT HOS work day cannnot claim per diem." As a reminder, as of Jan. 1, 2018 company drivers are no longer allowed to deduct meal per diem from their income. The new tax law passed by Congress in 2017 removed the per diem deduction as of the 2018 filing year.